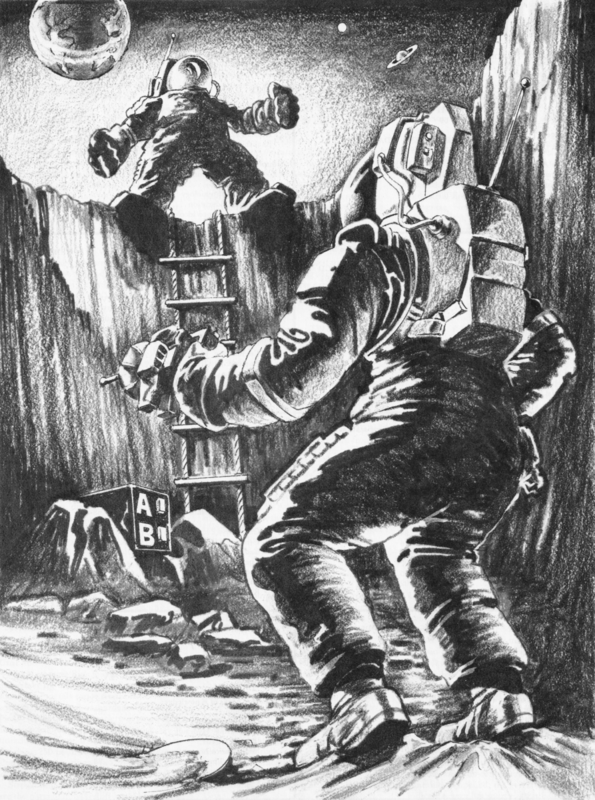 "Simon Sidekick," a short story first printed in the July 1984 Dragon Magazine, will be serialized in The Moon Society's monthly newsletter, The Moon Miners' Manifesto, starting with the February 2015 issue. "Simon Sidekick" is a YA coming-of-age story about a boy living in a lunar colony and who gets an AI companion. The artwork for the Dragon publication was done by Jerry Eaton.